Before our company moves any furniture, these important items can be wrapped and padded, to provide protection while the furniture is being moved between walls or doors. Floors that have high traffic can also be protected by pads as well as the floors where the boxes will be placed. In case of bad weather and/or minor storms, the move will proceed as planned. Please keep in mind that the furniture items will not be affected since you have the option of us padding and wrapping, and in some cases banding before the movers walk out of the house. The only time the move will be halted or rescheduled will be if it’s raining extremely hard or conditions are so bad that the weather wouldn’t make it possible to work in a safe manner. We do have insurance. 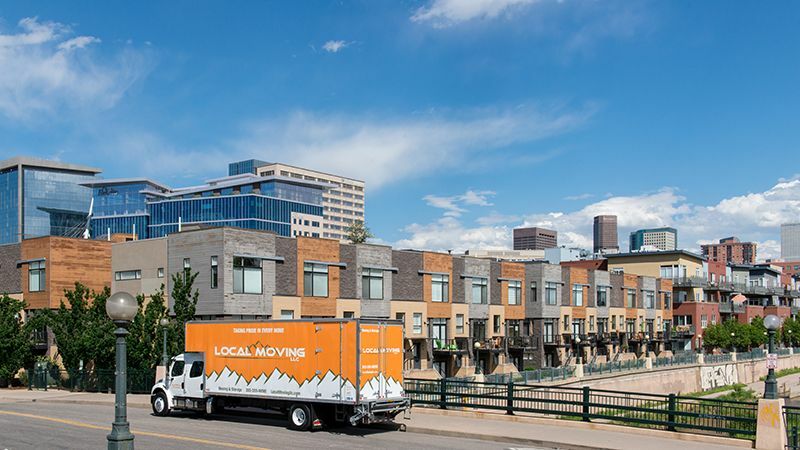 According to the Colorado Department of Motor of Vehicles regulations, it is mandatory for us to not only be insured, but also offer liability in the case that there is damaged or lost goods during the process of the move. If you would like to verify this fact, please feel free to go to the Colorado DMV database and enter our USDOT#. We are capable of moving items into storage. Items would be protected in accordance to the most efficient/safe way possible. If our company supplies the packing pads, the cost will be added to the final bill. Adding multiple destinations is not an issue at all. There are no additional charges, but, driving around to multiple locations will take extra time. Since we operate on a per hour basis that means the cost will be higher. We do not stop the clock while driving from one place to another. A complete packing service is available and our employees are fully trained and qualified to pack any item. If a fridge is being placed in storage, the first step would be to empty the fridge and then defrost the fridge so it can dry and avoid molding. It is against policy to move any items from or into an attic space due to liability and safety concerns. 17 -24 and 26-foot box trucks are the type of trucks that we offer. Each truck in our fleet has been professionally designed with moving pads, dollies, moving pads, dollies, toolkits, bungies, and any other necessity that is required for your moving process.